Infections and allergic reactions can cause a raised, pimple-like rash that's unrelated to acne. Any time you see unexplained changes on your skin or experience a rash that continues getting worse, see a doctor. The location, appearance and color of your rash will help your doctor diagnose and recommend treatment for the rash. You may develop a pimp-like rash with red, itchy and raised sores after swimming in a lake or pond. Swimmer's itch is a rash caused by parasites that normally live off waterfowl and freshwater snails. Parasites can burrow into your skin and cause a rash, but generally such rashes last only one or two days, because humans are not good hosts for these parasites. Swimmer's itch may not require treatment, but you can relieve the itching with anti-itch creams and antihistamines. Bacterial, viral or fungal infections inside the hair follicles on your body can cause folliculitis. A folliculitis infection may start out as small whitehead pimples around one or more hair follicles. Folliculitis may also produce clusters of small red bumps around hair follicles that look like a rash. Shaving, friction from clothing or existing skin conditions such as acne can lead to folliculitis. Superficial cases of folliculitis will clear on their own, but recurring or deep infections may require treatment with steroids, antibiotics, antiviral medications or antifungal medications. Chickenpox is an infection caused by the varicella virus. 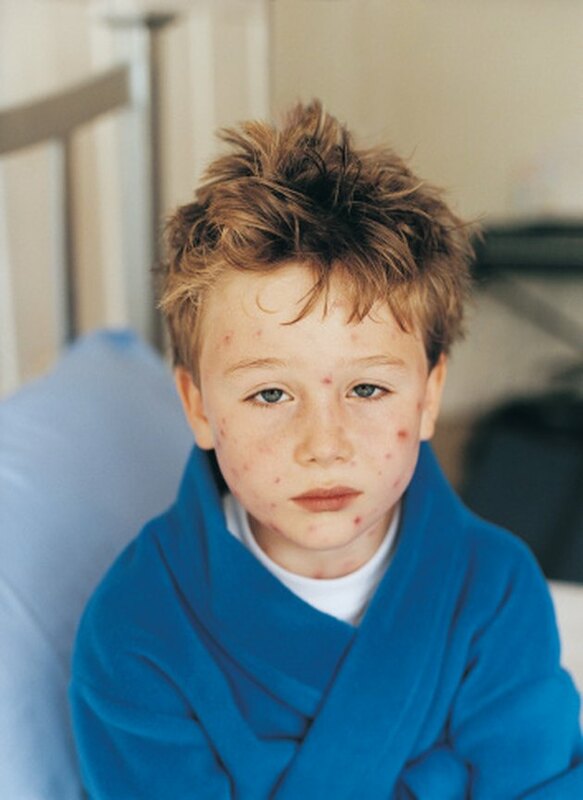 Chickenpox causes a red, itchy rash that may appear on your face, scalp, chest and back. The rash may look like insect bites and later form pimplelike, liquid-filled blisters that break open and crust. New bumps may continue appearing for several days. A chickenpox vaccination can help you avoid an infection. Otherwise healthy children may not need medical treatment, but antihistamines may help relieve itching. A doctor may prescribe antiviral medications for people who are at high risk for complications. Dermatitis herpetiformis is a chronic, itchy rash that consists of bumps and blisters. According to the National Institutes of Health, this rash usually appears first in people who are 20 and older. This rash may appear on your elbows, knees, back or buttocks. Dermatitis herpetiformis is usually associated with gluten sensitivity or celiac disease. Treatment may include antibiotics, and you can control the disease by following a strict gluten-free diet. You may experience a pimplelike rash after taking medications that you are allergic to. An allergic reaction to medication may look like raised red sores. Contact your doctor immediately if you develop small red dots on your skin or larger, bruiselike spots appear after taking medicine. Treating mild allergic reactions may include taking antihistamines.